Recently, I watched Lord of the Rings, second time of course but consciously with a different angle. This time, I translated Frodo Baggins journey in terms Gamification strategy. By introducing the gaming element in the movie, I discovered that the trilogy became all the more interesting and innovative so I thought of penning down my insights and if I’m wrong anywhere please free to rebut my point(s), I’d be of great help, thanks. Frodo Baggins is having a good time at his Shire, then one day he inherits a ring from his uncle, Bilbo. Consequent upon which he was asked to carry it away from the Shire and dispose off to Mount Doom. The user (Frodo) is assigned with a task (carrying the ring away) right at the onset after a brief virtual description of the world from where he belongs. The beginning also gives us the insight of the nature of the user (Frodo) and the limitations within which he has lived so far. After much hesitation, Frodo agrees for the journey. His companions – 1 friend and 2 cousins, accompany him, along with Gandalf an old friend of Bilbo. We might call it the gaming element, were his companions represent three chances or lives so to say and one mentor, who happens to be Gandalf. Gandalf or the mentor’s role is to make the user (Frodo) aware of the manual (journey) and the consequences (hardships) that they would encounter in the arena of gamification (different worlds). Right after moving out of Shire, Frodo and the team encounters attacks and assaults. This time another character Aragorn, Isildur’s heir comes to their rescue, who also becomes their protector. Aragorn takes them to Rivendell, from where Frodo gets more aid and he gets determined in disposing of the ring. On the way, they take perilous paths and later they are faced with weird creatures like orcs. While crossing a major huddle, they lose Gandalf in a chasm, only to have his second coming and with a greater force in the subsequent level. In between Frodo is offered with a special kind of sword to protect himself. All these are the props, which the user (Frodo) gains as completes one level only to enter the next. As we move ahead in the movie, we see adventures undertaken in Fangorn Forest, traitor episode in the kingdom of Rohan, fighting strength at Helm’s Deep, attack on Isengard, capture of Gollum, battle of the Pelennor Fields, kidnapping and then getting rescued and finally reaching the Cracks of Doom and performing the last act, though it wasn’t that easy either. In between his journey, Frodo wishes not being a part of the system (the gamification), “I wish the Ring had never come to me. I wish none of this had happened.” To which Gandalf replies “All we have to decide is what to do with the time that is given to us” , which means, we may either quit the game and return to where we started and live there as was or move ahead and gather all that we may into the bandwagon called experience and try to evolve from what we were since the beginning. So as the user (Frodo) is moving ahead, in the system (kingdoms) of Gamification (journey), he is being encountered by huddles (assaults) which by nature are becoming more and more difficult than the previous ones. And as he is crossing the levels (difficulties) he is becoming more determined, though physically week but mentally resolute, and acquiring new set of skills. Everything settles down fine with all the kingdoms. Frodo along with his friends go back to Shire as acclaimed heroes and the 12-hour trilogy comes to an end. The user (Frodo) clearly understands the system (Gamification) and is consciously aware of the goodness the system imparted within him. All his doubts go into the oblivion. Although all the tasks have been completed and huddles have been crossed yet there, remains something intrinsic within Frodo which he doesn’t want to do away with. He finds peace, confidence, his spirit gets uplifted, experiences clarity of thought and alacrity in speech. 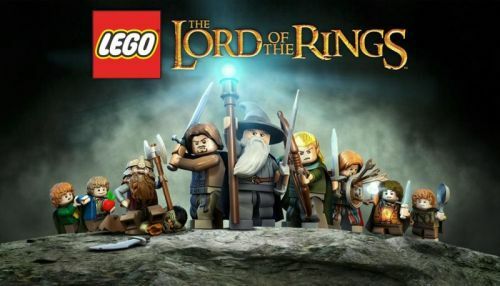 What Frodo experiences in the end, that is, the evolution of his overall character is the most vital element which if integrated within the Gamification strategy might work wonders. Surfacing of the feel good factor is the knock out feature that make users come repeatedly within the system. If we could relate users’ tasks in Gamification in terms of journey than bestowing points and badges, the users then would become the brand ambassadors by evangelizing its use, ain’t this the sole purpose of any Gamification strategy?